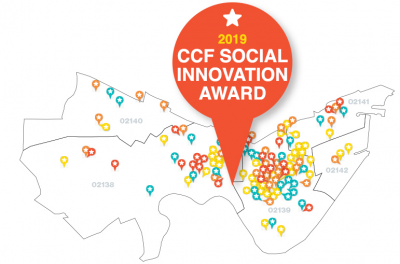 Cambridge Community Foundation is excited to announce our first Social Innovation Award. 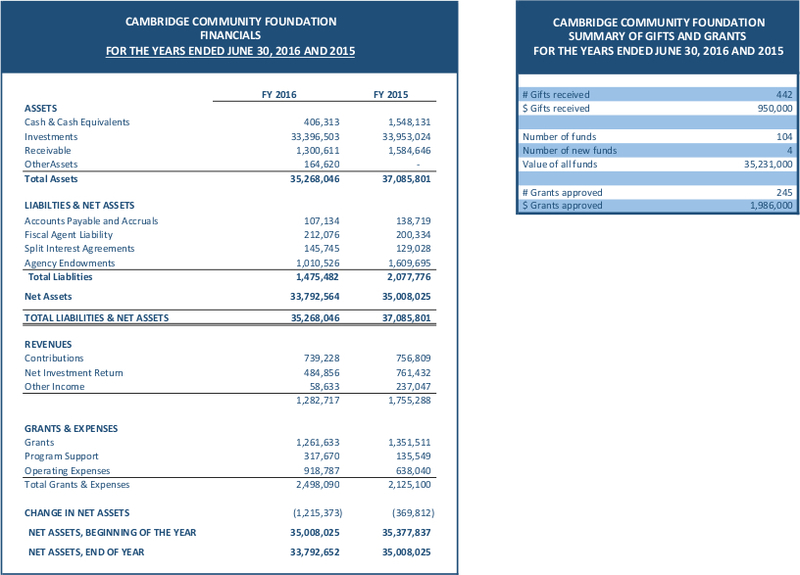 As a funder of Cambridge nonprofits for over 100 years, we are deeply rooted in the community—yet we are confident there are ideas out there we don’t know about. This is why we are launching the Social Innovation Award. We are looking for the next generation of emerging leaders and ideas that will help shape our mission to support Cambridge’s shared prosperity, social equity, and cultural richness. Somewhere in Cambridge we know there is a student, an emerging nonprofit, a group of neighbors, a new program, or maybe a young entrepreneur tackling a problem, inventing a solution, and/or implementing a program that will improve the quality of life in Cambridge. We’re looking for original ideas that exhibit creativity, daring, and ambition. We value light touch interventions—programs that can be implemented with small resources and create big impact. We’d like you to help us find them. The competition is open to all, with the exception of programs previously funded by the Cambridge Community Foundation. Our award winner and two runners-up will be announced on Friday, May 31, 2019 @ 4 pm, at the party we’re throwing to thank all of the nonprofit organizations we’ve funded this year, Cambridge Community Foundation Salutes: Celebrating 150 Cambridge Nonprofits that Change Lives. The winner will receive $5,000 and two runners-up will each receive $1,000. All three also will receive at least one pro bono consulting session with the Foundation. Applications are due May 7, 2019. You may self-nominate or nominate someone else by sending us their contact information. To nominate yourself: Apply online here. To nominate someone else: Click here to send us an email. Be sure to provide the nominee’s name and email address. We will send them an application.